Described at the future supergroup, Infamous Stringdusters take to the road! Why See The Infamous Stringdusters? 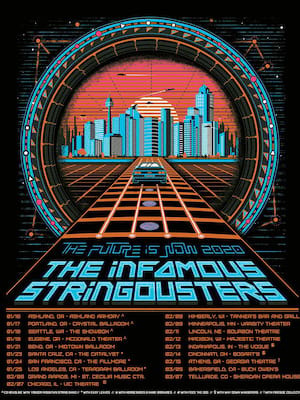 The Infamous Stringdusters Hits The Road! 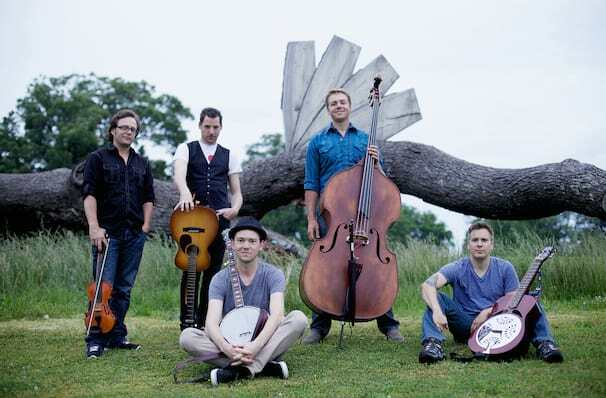 The Infamous Stringdusters are at the forefront of a new movement in bluegrass music. Their unmatched virtuosity has enabled them to take acoustic music to a completely new level. Described as a future supergroup, phenomenon and flawless by bluegrass critics. Infamous Stringdusters are hitting the road with their jam band roots and their incredible instrumental sets on this years fall tour. The band states they're excited to feel the positive energy which is given off at every one of their shows. The band recently revealed they've completed their ninth full-length studio album, which is set to be released on their newly launched record label, Tape Time Records. The album which is yet to be titled is the latest in the series of Infamous Stringdusters recent releases, which includes the Grammy award winning studio album, Laws of Gravity. Seen The Infamous Stringdusters? Loved it? Hated it? Sound good to you? Share this page on social media and let your friends know about The Infamous Stringdusters at Variety Playhouse. Please note: The term Variety Playhouse and/or The Infamous Stringdusters as well as all associated graphics, logos, and/or other trademarks, tradenames or copyrights are the property of the Variety Playhouse and/or The Infamous Stringdusters and are used herein for factual descriptive purposes only. We are in no way associated with or authorized by the Variety Playhouse and/or The Infamous Stringdusters and neither that entity nor any of its affiliates have licensed or endorsed us to sell tickets, goods and or services in conjunction with their events.